Yesterday (Saturday) we slept in a while and then got up to pack and clean up the apartment. 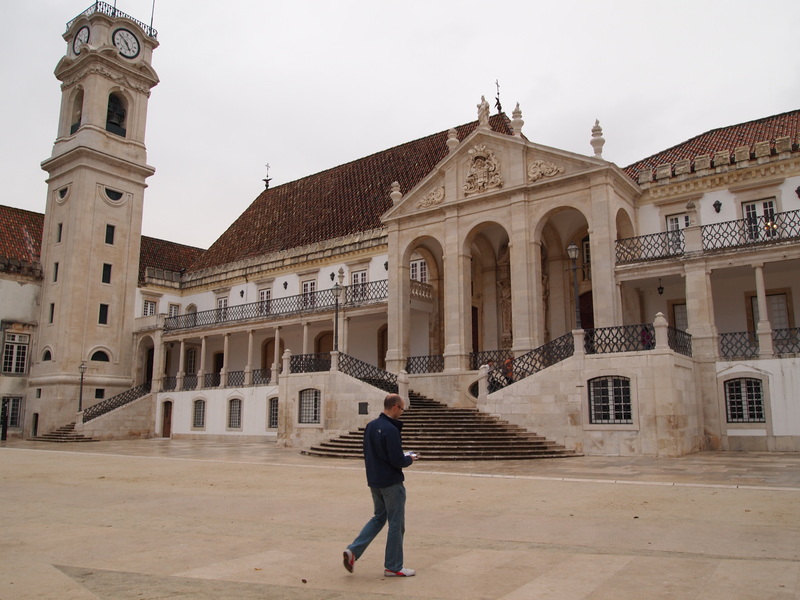 We checked out at noon and walked over to the train station to buy our tickets to Coimbra. 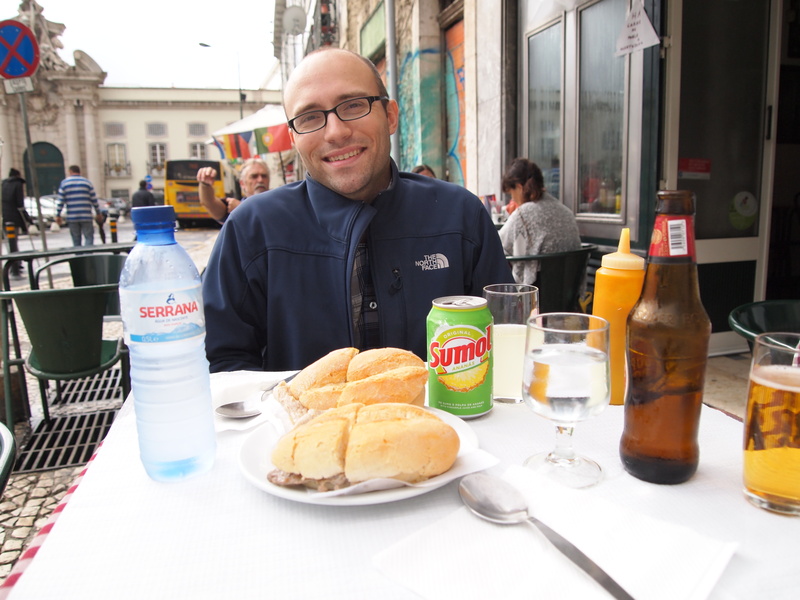 Our train didn’t leave until 1:30 so we sat at a cafe across from the station and ordered some bifanas (pork sandwich) and drinks. 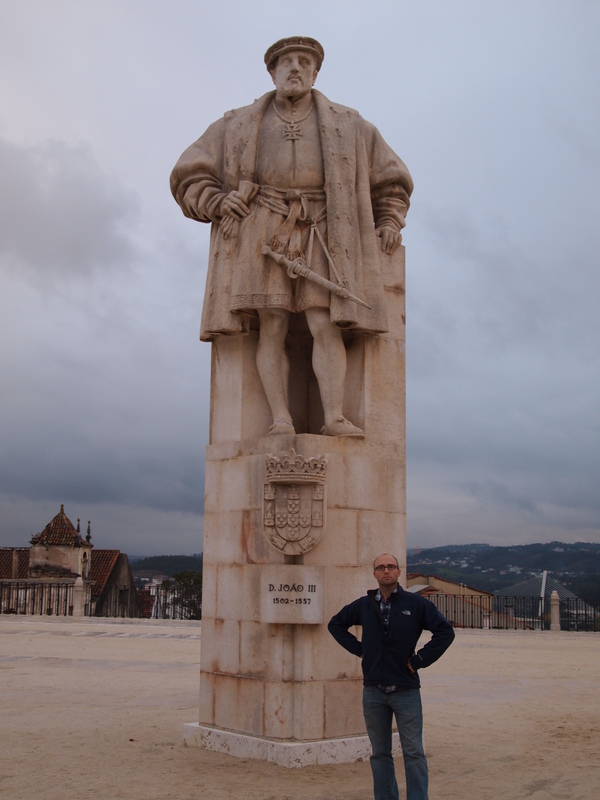 The ride to Coimbra was pretty uneventful. We couldn’t see too well out of the windows so I stuck to reading for the close to 2 hours it took us to get there. 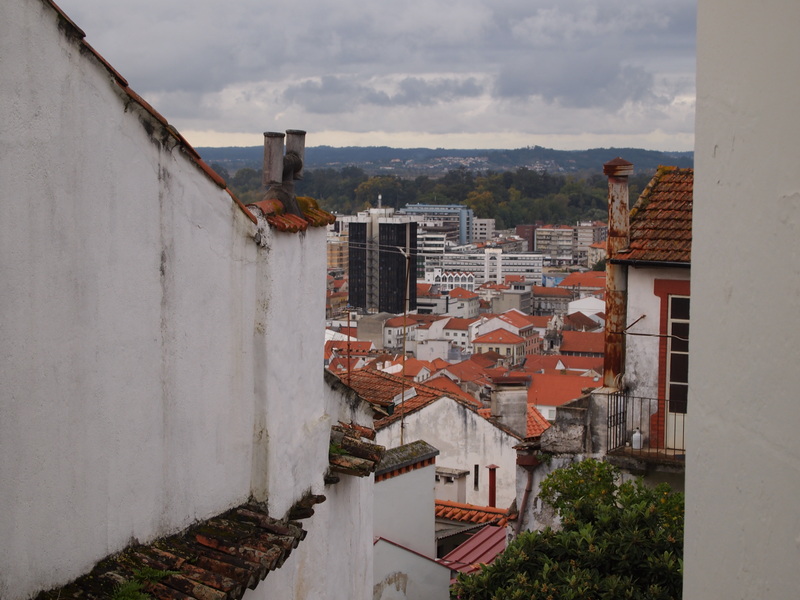 In Coimbra we snagged a taxi to take us to the guest house we had chosen (a room was already reserved for us) – Casa Pombal. 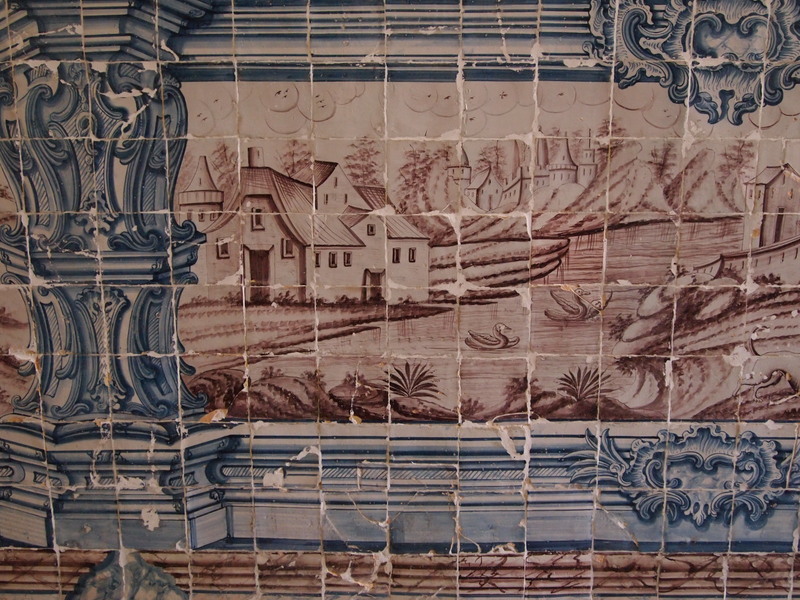 Casa Pombal is run by a lovely Dutch woman who has been in Coimbra for almost 20 years. The building is a converted townhome in the heart of the student district. 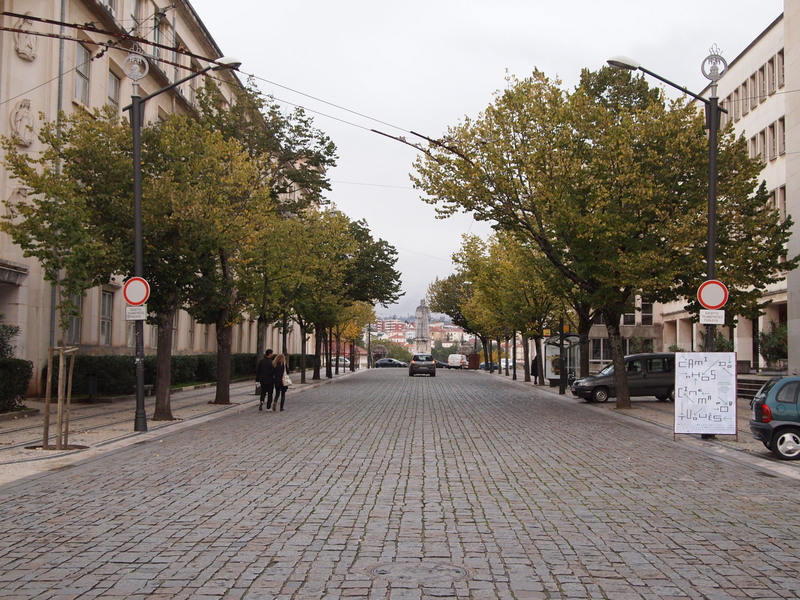 She gave us a map and several great tips on where to go for fado and food. 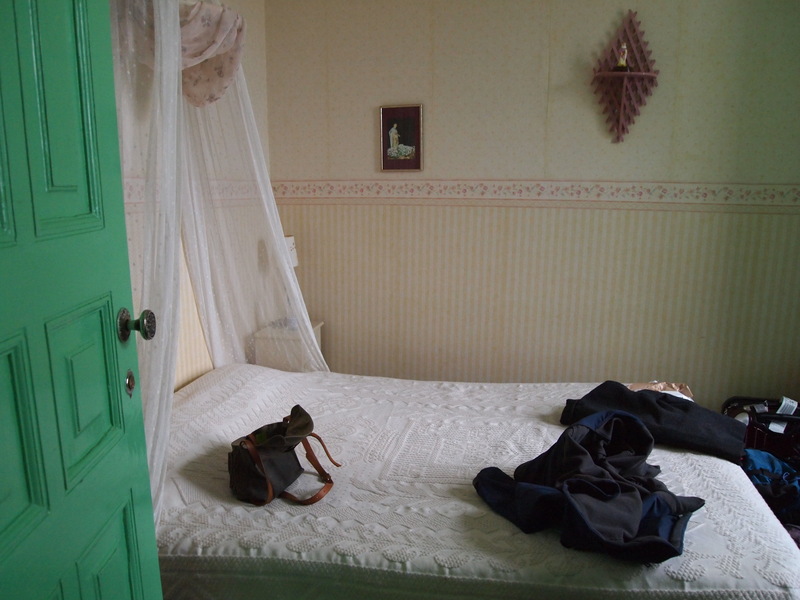 Our room is plain, but really cozy. 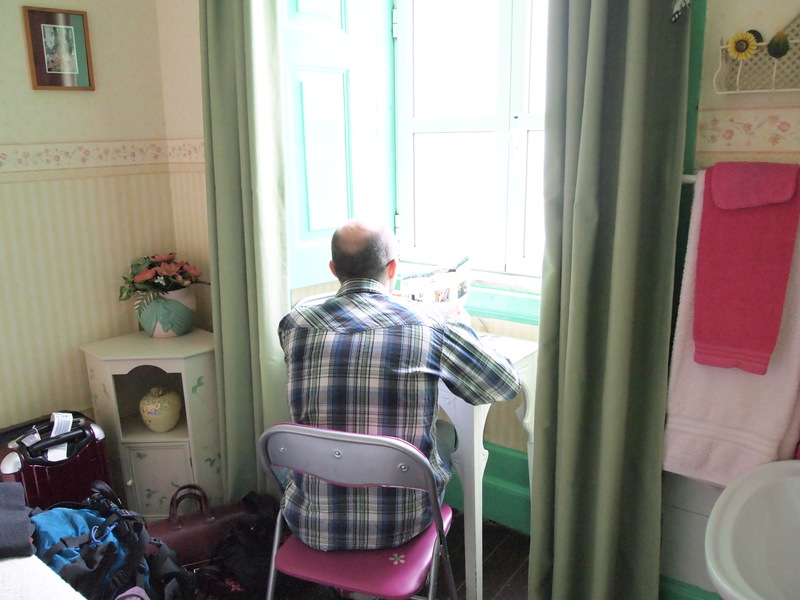 We chose to have a room which shares a bathroom with the floor – there are 3 rooms on our floor – but there are no other guests staying next to us so we essentially have our own bathroom. 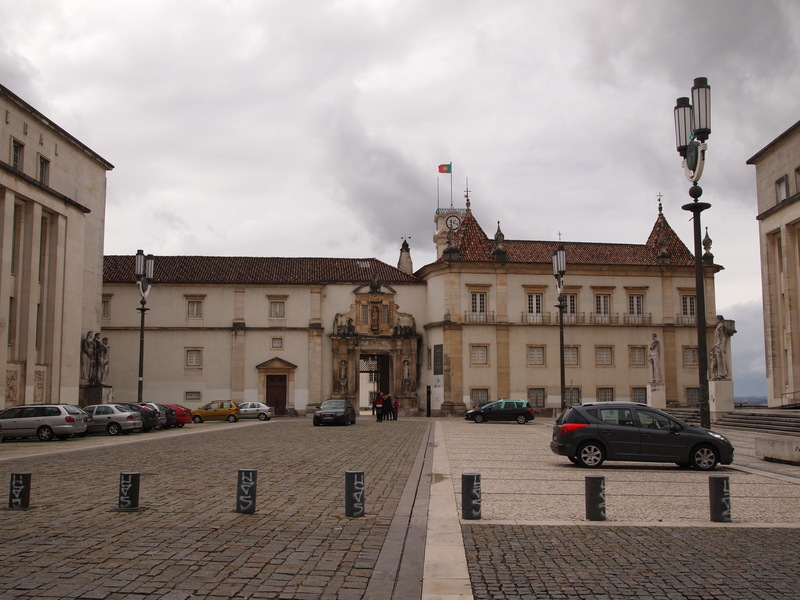 Coimbra is a university town. 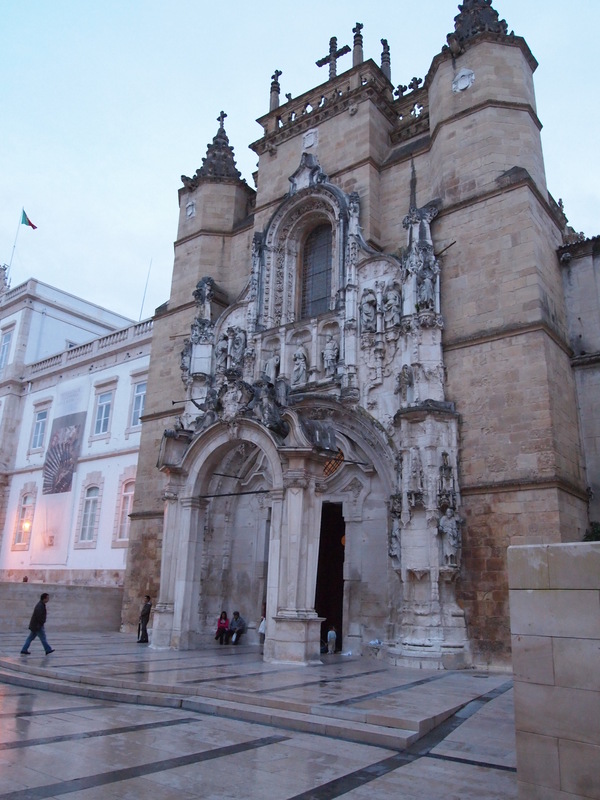 In the high Middle Ages it served as the capital of Portugal before it was moved to Lisbon. 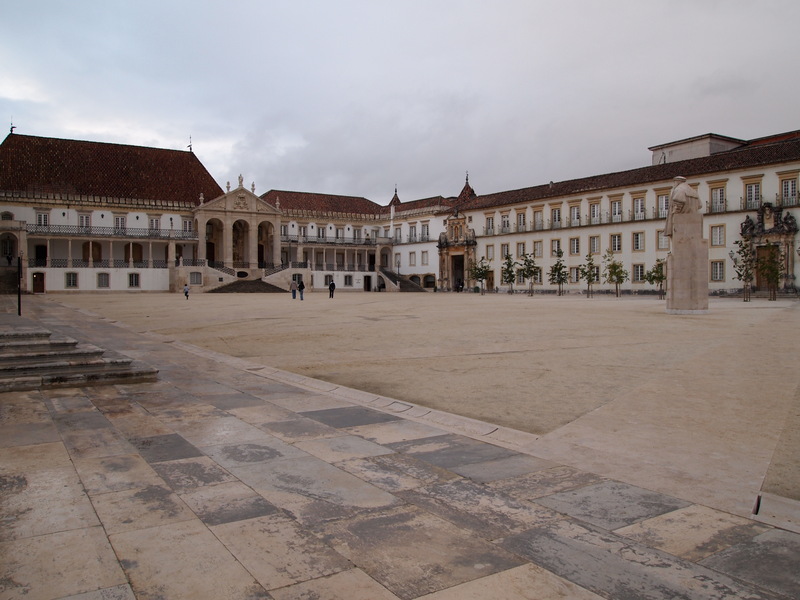 Coimbra is better known for its university – the University of Coimbra – which is the oldest university in Portugal and one of the oldest in Europe. 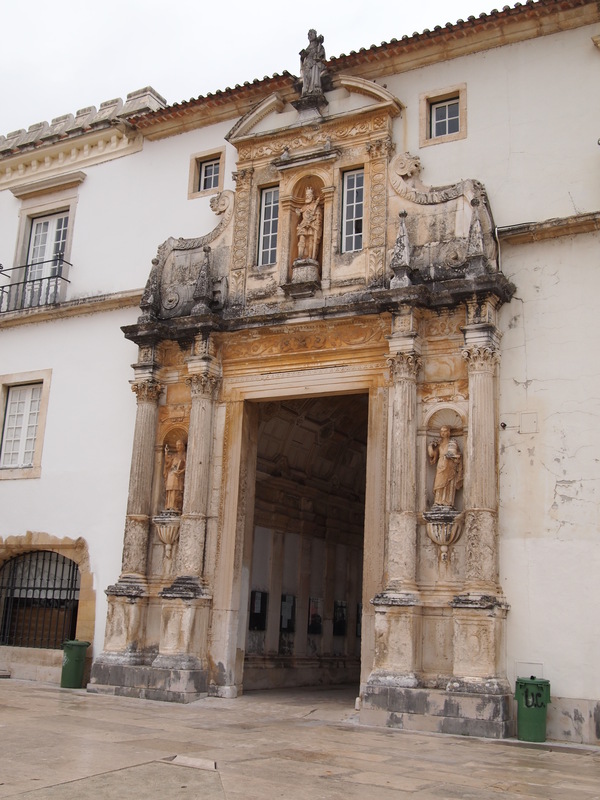 Coimbra is an old city with Roman, Moor, and eventually Christian roots. It’s a smaller town, thankfully, so our feet haven’t been quite as exhausted. 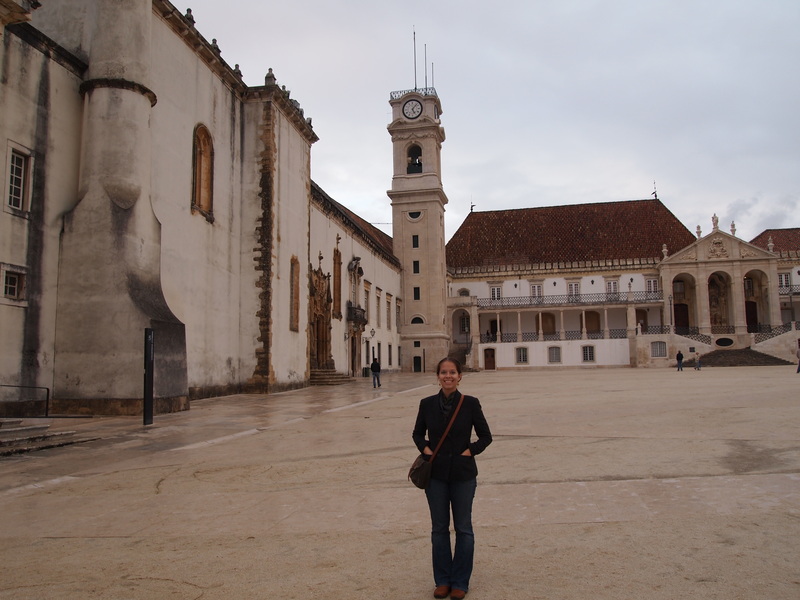 After we settled in we walked over to the main square of the original university (it has since expanded). 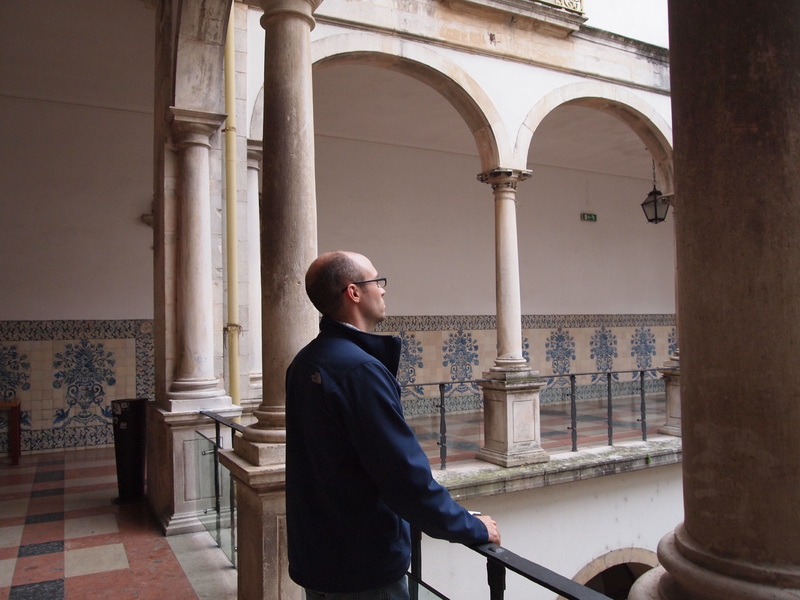 We could walk into a few classrooms, but most things were already closed. 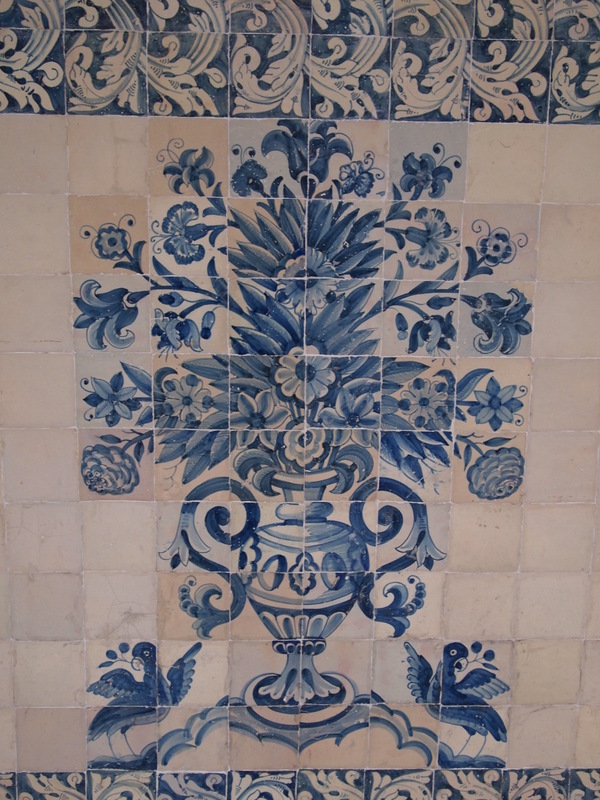 It’s amazingly old and of course, there are many azulejos. 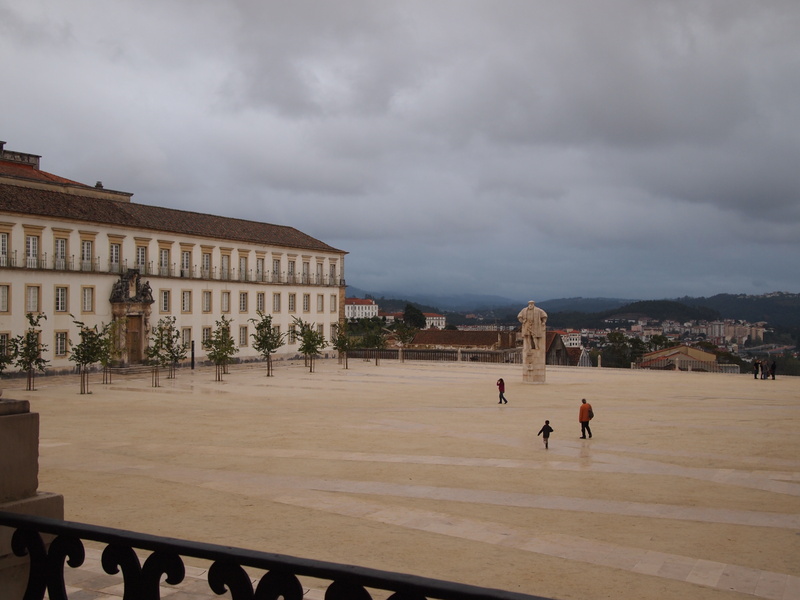 The university sits at the top of the hill so there is quite a view from the square (and the classrooms). 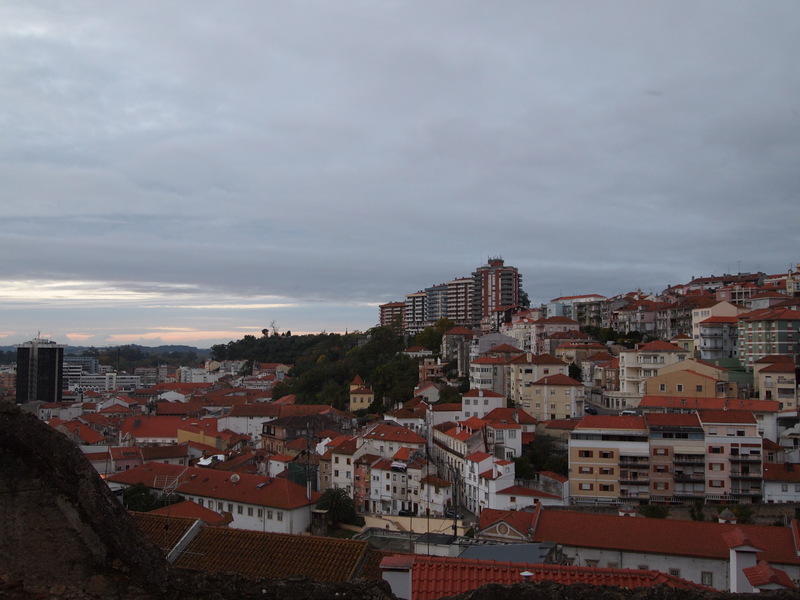 After leaving the university we hiked down to the center of town and caught a little fado at a beautiful cafe. 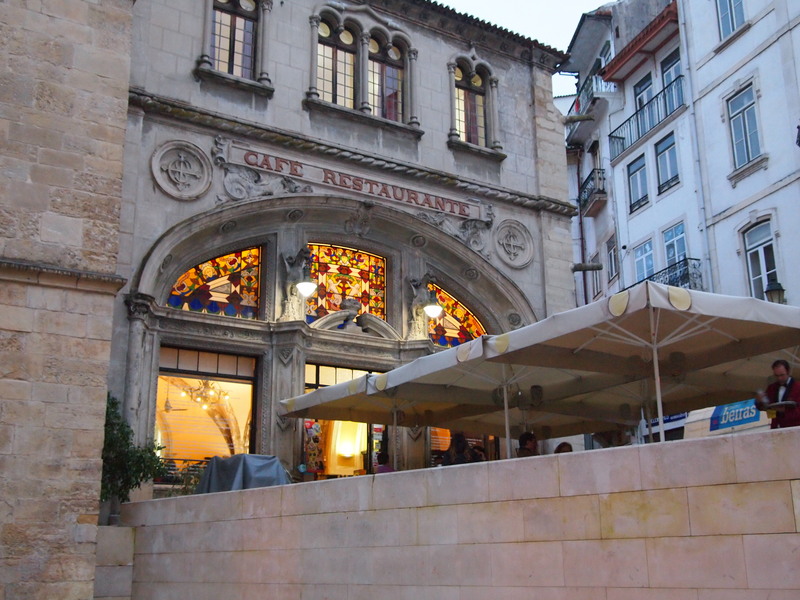 Fado in Coimbra is generally happier and usually only men – Zach and I both prefer Lisbon fado which sounds more mournful. 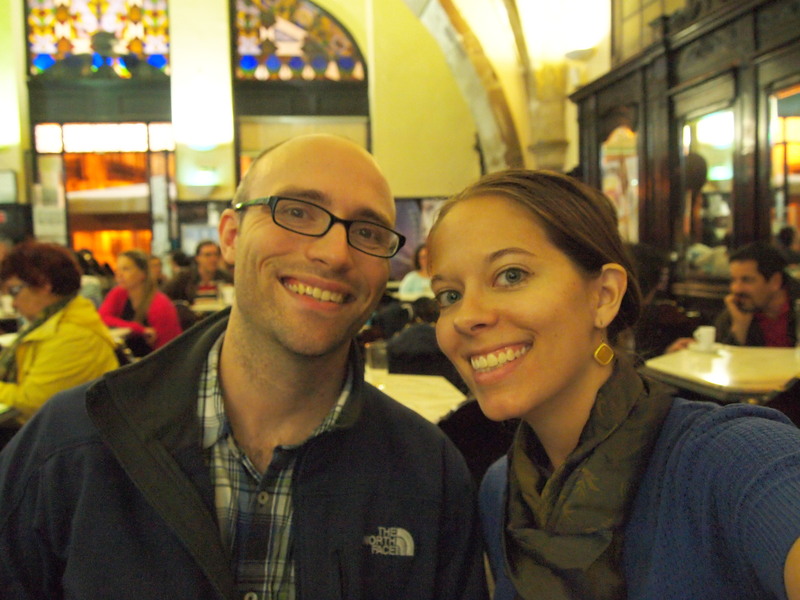 We left the fado show and walked to a restaurant that our hostess had recommended – Flor de Coimbra. Since it was already dark I didn’t think anything of the time, but when we arrived and rang the bell we were told they didn’t open for another half hour! However, we were able to sit in the dining room anyway and stew a little in our embarrassment. 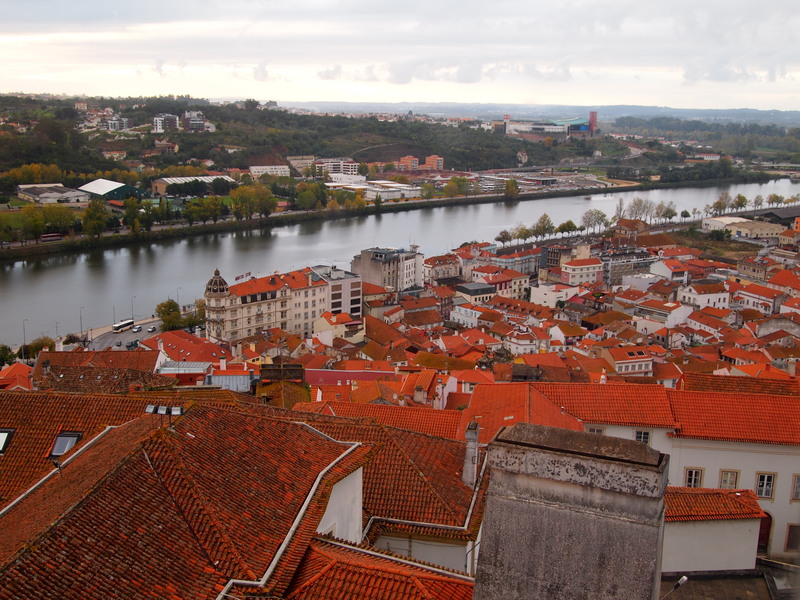 Flor de Coimbra’s specialty – the reason we went – is chanfana, lamb meat marinated in red wine. It’s a regional dish and it’s delicious! Zach ordered a salmon dish that was really great too. Actually we had wayyy too much food and could have just shared the chanfana, but now we know. Our waiter served us a complimentary digestif of muscato wine from Oporto. I wasn’t quite sure how I would like it by the smell, but I loved it! The perfect balance of sweet and smooth. After dinner, we went back to our room to rest and regroup. We wanted to try another fado place our hostess had recommended, but fado wouldn’t begin until later in the evening – 10:30. 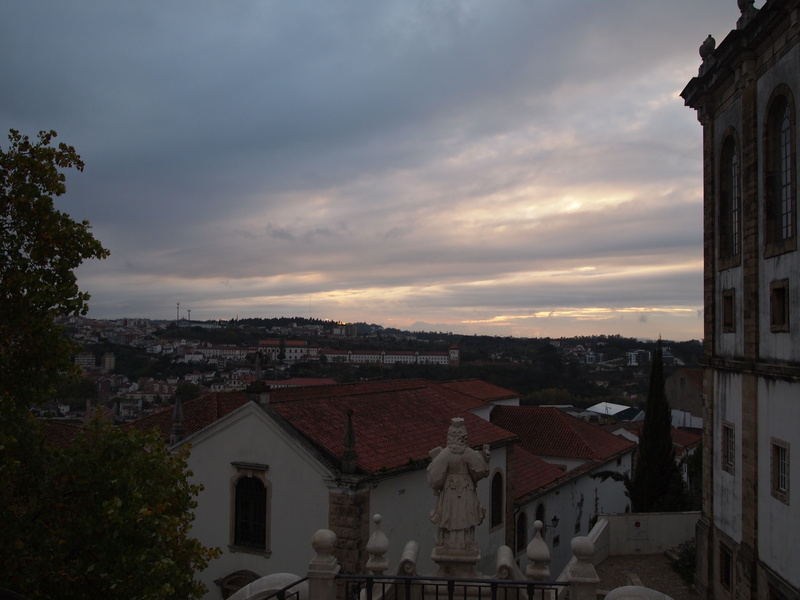 We both were exhausted from Lisbon and walking around Coimbra, but I’m really glad we decided to go back out and listen to that fado. It was much better than what we had heard earlier in the evening and we both thoroughly enjoyed it. 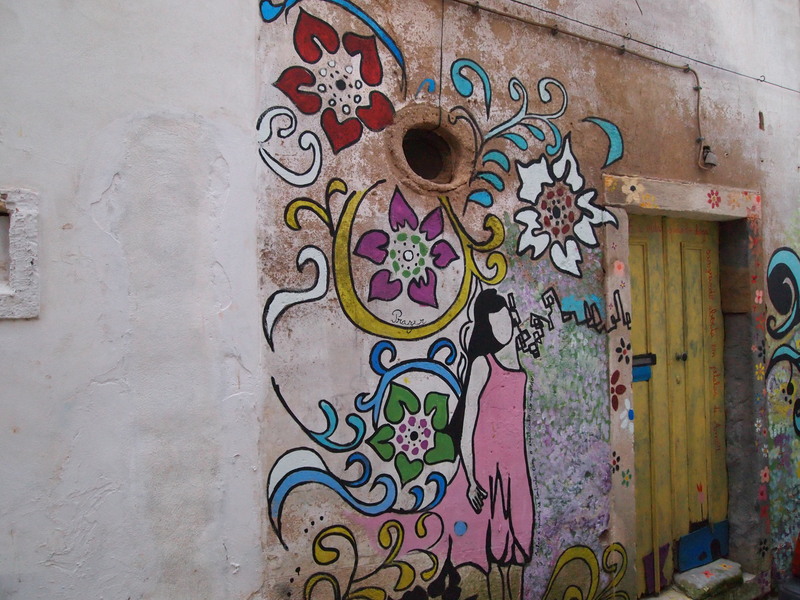 Much like the place we went to in Lisbon, this club was small and intimate. They dimmed the lights when the set was going to begin and the singer was accompanied by only one guitar. We stayed for about 3 sets before we called it quits and headed out into the rain to trek up the hill back to our room.